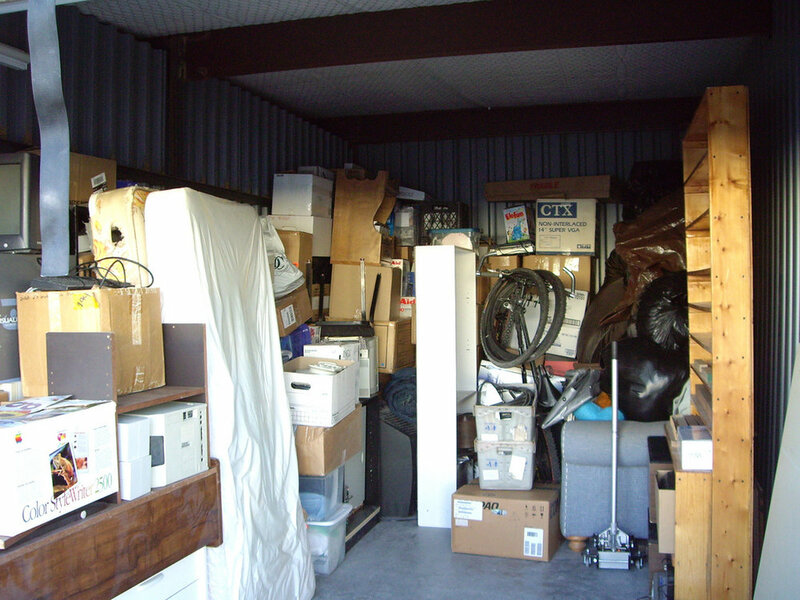 Should You put Unsold Estate Sale Items in Storage? At the completion of virtually every estate sale there is inventory that remains unsold, a circumstance that may include anything from old paperbacks to family heirlooms. At this point in time, you have three primary options: accept a buyout offer, donate the items or keep them. At first glance buyouts, which typically pay pennies on the dollar versus estate sale prices, and donations, which pay nothing but may generate a tax deduction, may not seem like great options. These options do, however, serve a key purpose: they facilitate the clearing of the home while paying extra money on top of proceeds generated by the estate sale, either immediately with a buyout, or down the line with a deductible donation. The third option, keeping unsold items, generally unfolds for three distinct reasons; utility, sentimental value or the feeling that items may be sold for higher prices at a later date. An example of keeping an item based on utility might be a near-new outdoor barbecue that is used to replace an older model currently in use. In this example, keeping the barbecue from the estate sale provides an immediate benefit and saves money by delaying the need to buy a new barbecue. Holding on for sentimental or higher sale prices, on the other hand, can put you on a proverbial slippery slope, especially if the items are placed in storage. The problem here is that, as soon as items are put into storage, the math starts working against you as monthly installment payments are made to keep things you already own. Over time, these payments sap the net value of the items intended for sale and, while there is no accounting for sentimental value, the cost is ongoing with a bill due every month. So, what to do? Estate sales often take place in time frames fraught with emotion and endless “to-do” lists. In these situations moving items to storage offers both convenience and a way to delay the process of letting go, but these benefits tend be the greatest early on and diminish over time. This is especially true if the intention is to sell items at some point in the future. By comparison, a buyout or donation can be completed within a week, provide a financial benefit and avoid the drain of monthly storage bills.